The Employees' State Insurance Corporation (ESIC) is a statutory body constituted to administer the ESI scheme. 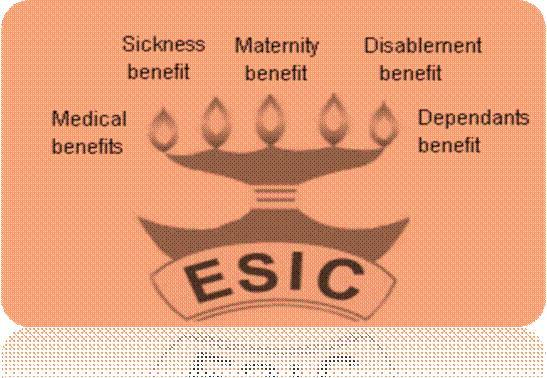 ESIC is under the administrative control of Ministry of Labour & Employment, Government of India. In addition to the basic necessities of food, clothing and shelter, man also needs security in times of sickness, disablement etc. 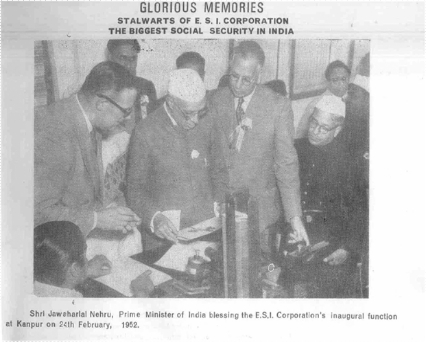 The promulgation of Employees’ State Insurance Act, 1948 (ESI Act), by the Parliament was the first major legislation on social Security for workers. The act aimed at upholding human dignity in times of crises. Thus, India, took the lead in providing organized social protection to the working class. 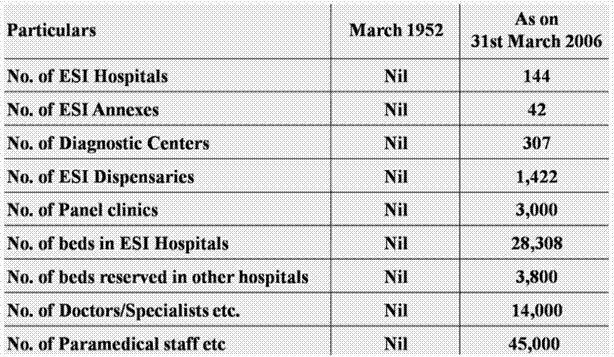 The ESI Act 1948, with the Preamble -"An Act to provide for certain benefits to employees in case of sickness, maternity and employment injury and to make provision for certain other matters in relation thereto" encompasses certain health related eventualities such as sickness, maternity, temporary or permanent disablement, Occupational disease or death due to employment injury, resulting in loss of wages or earning capacity. The ESI Act applies to non-seasonal factories employing ten or more persons in a power using factory and twenty or more persons in a non-power using factory. The provisions have also been extended gradually to other establishments such as shops, hotels and restaurants, road and motor transport undertakings, newspaper establishments and cinema halls. The Employees’ State Insurance Corporation (ESIC) is a statutory body constituted under the administrative control of Ministry of Labour & Employment, Government of India. 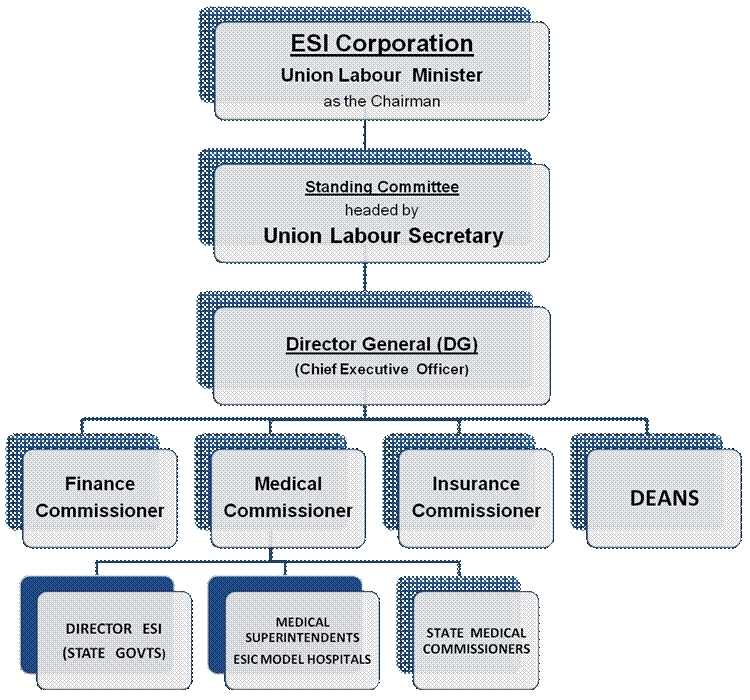 Standing Committee is the executive body of the ESIC, headed by Union Labour secretary to take up policy matters before sending to ESI Corporation. The Standing Committee, which is the Decision making body, has representatives from Central and State Governments, Employers, Employees, Parliament and the Medical professionals. ESI Scheme is a " self-financing " health insurance scheme. The contributions paid by the employees and the employers are deposited in a common pool known as the ESI Fund, which is utilised for meeting the administrative expenses, cash benefits and medical benefits to the insured persons (IP) and their dependents. This project aims at hastening the computerisation process, covering the entire ESI Scheme.